Yup, only differences in the states are equiptment options. Mechanically, they are the same car. sweet!!! can't wait to get the ECU tune done!! I received my ECU back today and let me say WOW!!!!!!! I have had upgrades on other vehicles before but this one is really worth it. If you have a 2013 C300 this is a must do. And the response in the accelerator is immediate. Last edited by jgoga; 09-16-2013 at 06:56 PM. That's great to hear, those are some pretty quick 0-60 times too. I'm hoping to hear many more good reviews like yours! I'm wondering... my car currently can't rev to redline in park, with the tune can you rev all the way up to 7k? Good to hear you are happy with the tune. It is not subtle. Where exactly the ecu located on 2013 c300 ???? And how to remove it ??? does Kleeman have anything for the C250? They claim the C250 tune on the M271 EVO results in 245 HP / 276 lb.-ft of torque. Quite a bit more costly then the JB+ tune, but nets in more power/torque as well. I spoke with Corey over there this week and i feel confident with these guys. They seem to know what they are talking about, i will be sending them my ECU next week. I will report back once i receive the ECU back. I just shipped mine out today, hopefully will have it back before the week ends. I am thinking about this tune also. Now, does the tune alone really void the warranty? Yup, but the MB tech would need to be a computer engineer to tell the difference. I'm willing to bet ECU software is written at a very low level, you would need to be an absolute expert to tell the difference between modified and non-modified ECU software. Does Kleeman offer tunes for the 2010 c300/350 and what kind of gains would it produce? Also can 4matic versions be tuned or does that even matter? Tons of companies have tunes for the M272, search around. They only seem to offer maybe a 5-10% increase in HP/TQ. 4matic generally doesn't matter. Last edited by JaredP; 10-22-2013 at 11:21 PM. Thanks Jared, i'll take a look. I was wondering if you'd get the same dramatic results you guys are getting with the 2013's, it would definitely be nice. 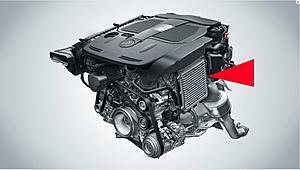 The reason the power increase is so dramatic is because the engine in the 2013 C300s are just detuned C350 engines. The M272 tunes (MY '11 and below) are typically much cheaper, and can be tuned and un-tuned via a handheld tuner. Why local tuner says this amount of gain (50hp) is impossible. Anyone have dynos? Because you drive a 2011, 3.0L C300. Nah. I got a 2014 C300. Your profile says 2011, but as far as I know Kleemann is the only company that offers it. The OP said he contacted many company's that have 10-15 horsepower tunes for ~$600. But Kleemann is the only company with the full retune, for whatever reason. C350 tune nets same result power. I would imagine mileage is the same if you drive the same on either tune. Someone needs to post a 0-60 video... So much hype.